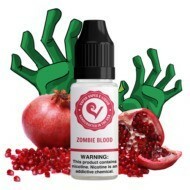 The superior taste of our Pomegranate E-Liquid is otherworldly. 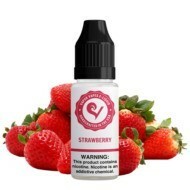 A harmonious blend of a sweet taste akin to summer berries mixed with a sour and tangy flavor similar to fresh cherries, creates an e-juice as memorable as the fruit. We don’t want to brag but we’ve been told it’s the bees knees. 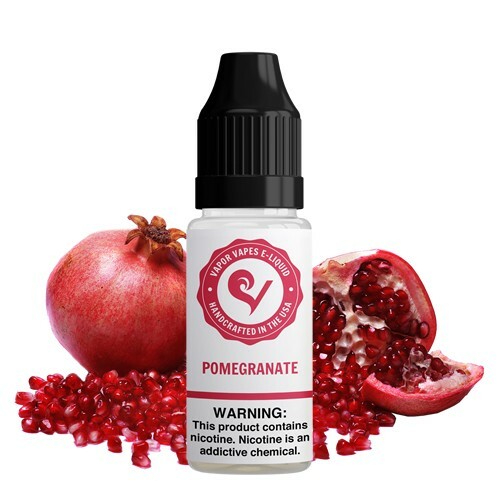 A light, sweet enticing smell and taste is just some of the reasons Pomegranate is one of our best selling vape juices. Cons: No flavor, I'm pretty sure I got the opposite mix I asked. Pros: My local vape shop closed its lab, so I was no longer able to get the pomegranate e-juice that they would mix for me after they took the flavor out of their inventory. 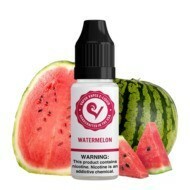 It actually was a blessing in disguise because I ordered the pomegranate flavor from Vapor Vapes and it's much better! It's not really a strong pomegranate flavor, but it's subtle and has the sweetness that I was looking for. I also like that I can get this in the 50/50 blend, another plus since I'm not a cloud chaser. 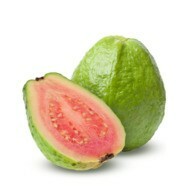 I'm really happy I found this and love the flavor so much that I have signed up for scheduled monthly deliveries! 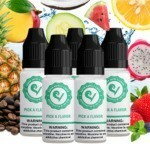 Final Thoughts: I'm very picky and because I had been vaping my "old" one for almost 4 years, I had some doubts and was a little worried when I placed my order for this flavor, but I'm very happy that I did because it did not disappoint! 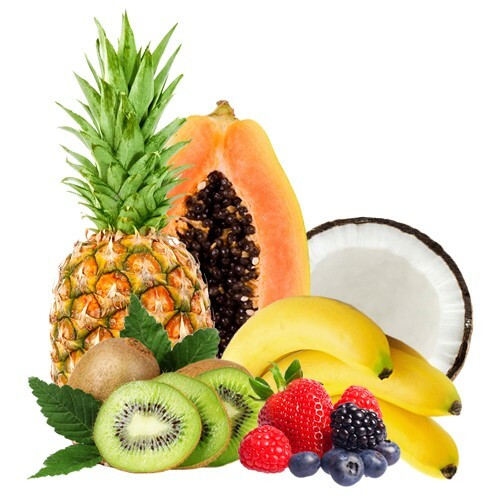 Pros: Vapor vapes ejuice is hands down THE BEST! I’ve bought others from local shops and they taste burnt after just a few days maybe because they get the coil dirty faster?! I don’t know but I just make sure I never run out! Pomegranate is my all time fav! 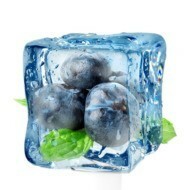 Pros: tart, sweet mixes well with other berry flavors. Pros: Absolute favorite for a couple years now. I try others from time to time but always come back to pomegranate. I get 2 x extra flavor & its so yummy at 3mg nicotine. Pros: The flavor is good and it smells just as good. Cons: Nothing but good news about this product. Cons: Does NOT taste like pomegranate AT ALL! Pros: Like all vapor vapes juices I have tried, the taste is not overpowering at a 10% flavor level. I enjoy the subtle taste. 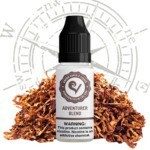 This flavor has a sweet inhale couple with a very pomegranate-esque tartness on the exhale. Cons: Some people may not like the tart exhale, but that seems entirely up to preference. Final Thoughts: This is my main go to. It passes all of my juice requirement tests. Its light and easy to smoke all day long. It's not overpowering in sweetness, which makes it great after a meal or with a beer. I enjoy the prices at vapor vapes. Heck, I even like that I can get it in a convenient to use plastic bottle. Two thumbs up! Pros: I love the pomagranate mix you have. I live in Florida where shops are on every corner. None have this flavor anymore. Prices are great, delivery is fast. 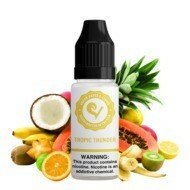 Pros: Love Fruity Vapes...This One Is Perfect!